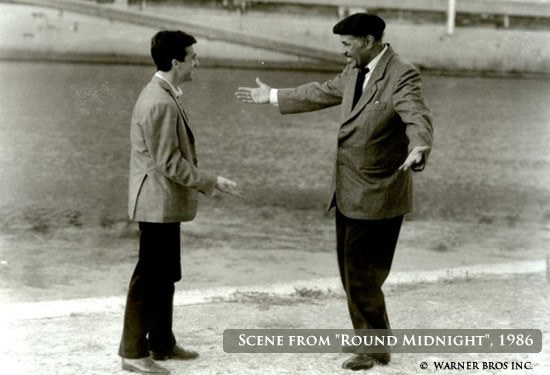 This film screening project was created to celebrate Dexter Gordon's Academy Award-nominated acting performance and to explore the historical relationship between jazz and cinema through the 1986 French film Round Midnight (Warner Bros.). The project typically includes a film screening at a cultural or educational venue followed by a panel discussion on the production of the film with members of the cast, its director, actors, and featured musicians. 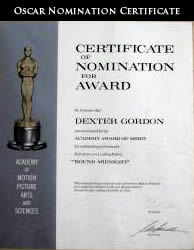 Screenings are usually presented by Dexter Gordon's widow and former producer - jazz historian and President of The Dexter Gordon Society - Maxine Gordon. 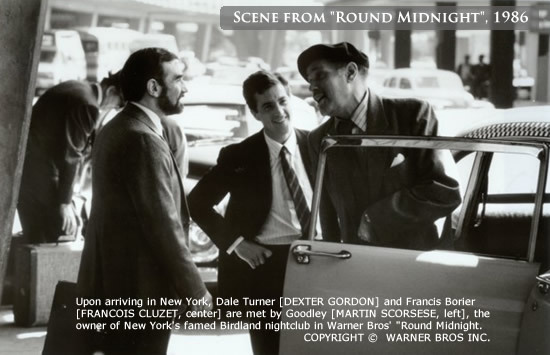 Panels are often followed by a humanities presentation by Maxine of her extensive research from the making of the film including photographs, rare footage, letters, documentation, and other collection items that help tell the behind-the-scenes story of Round Midnight. 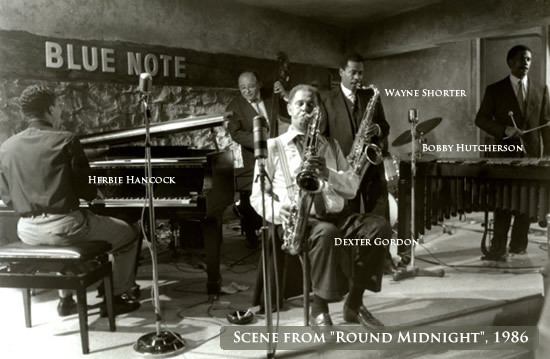 Known for her charismatic and often entertaining presentations, Maxine additionally provides rare and vivid historical accounts of Dexter Gordon's insights, reflections, and experiences, and of his bonds with other musicians, actors, and producers who worked on the film. Format-wise, the program begins with an introduction, is followed by a screening of the film itself, a 1hr presentation and/or panel, and then Q&A. The project can be held over 2 or 3 days, during which time the first day is reserved for an independent humanities presentation by Maxine Gordon; the second day is reserved for the screening and Q&A, and the third day is for the panel. This could also be condensed into two days, combined with live performances, photo exhibitions, etc. The project is also an ideal format in which to bring together some of the well-known figures who have participated in the film such as Bertrand Tavernier, Herbie Hancock, Martin Scorsese, and Francois Cluzet. Screenings and panels have been presented in New York City, Paris, Copenhagen, Istanbul, Kansas City, San Francisco, and all over the continental United States. Venues have included Columbia University, the IFC Film Festival, Monterey Jazz Festival and many others. NY Times: 'Exile in Paris, The Soundtrack"
Notice of the IFC screening of Round Midnight in June 2013. 2 business days. Thank you. We will review your proposal and get back to you shortly.